We’ve started this series to tell you a bit more about our favorite pieces of architecture from all over the world. And though we realized we write new pieces of this never-ending series less often than we planned to (so many things going on! – and it’s actually a good thing) we definitely want to continue writing them. Because we love architecture and it shows us the million faces of our big wide world. Some pieces are classic, some are modern but they are all significant representatives of different cultures and different ages. They are all parts of the big puzzle. 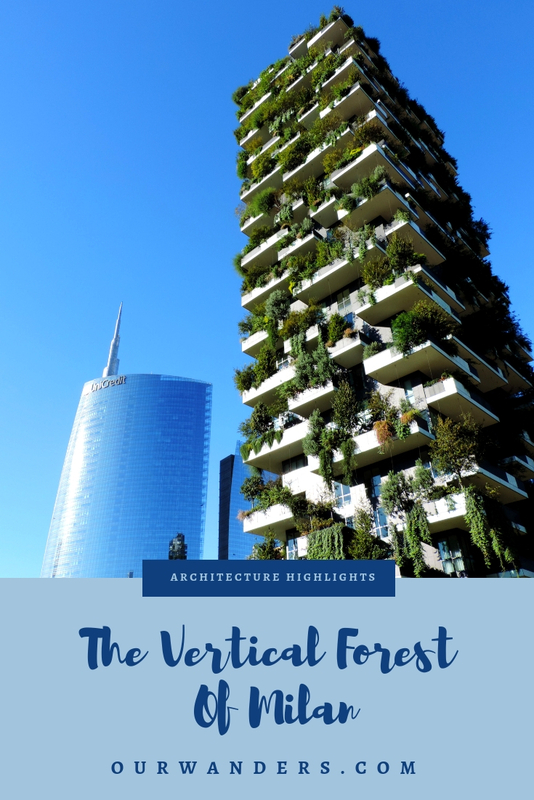 Why has the Vertical Forest of Milan impressed us? 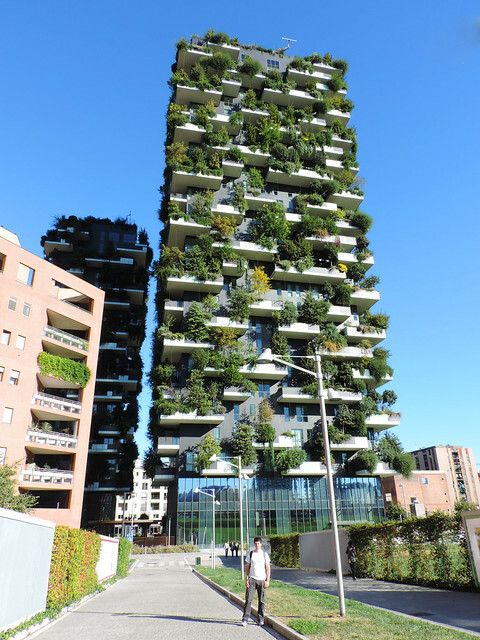 Who would have thought for example that a skyscraper covered by trees has its perfect place in an Italian city with ancient roots? 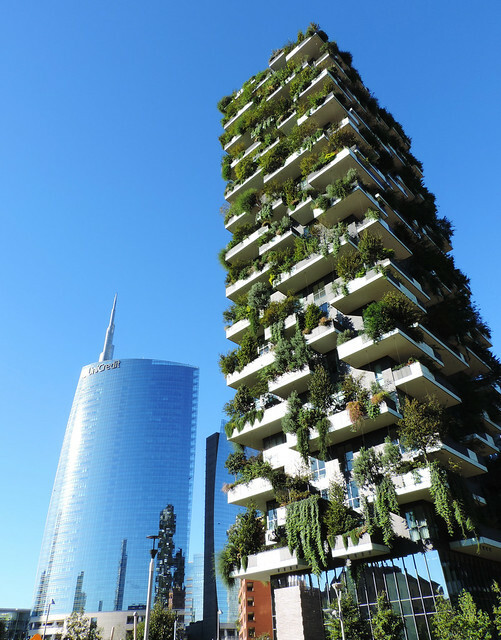 But the Bosco Verticale – or the Vertical Forest if we translate its name into English – stands proudly in the business district of Milan. Oh, yeah, Milan’s business district is actually one thing that really surprised us. We usually like old towns the best in European cities still Porta Nuova, Milan’s new and not even fully ready business district ended up to be one of our favorite places in the city. And the Vertical Forest is its crown. It’s a mixture of a forest and a skyscraper. Natural and artificial, simple and creative at the same time… and sustainable! Bosco Verticale consists of two towers having the height of 111 metres (364 ft) and 76 metres (249 ft) and they host about 900 trees. It was officially opened in October 2014 and it’s in fact a pair of residential towers that contains about 400 apartments. Now how cool is that to live in a building that is changing colours with the seasons? Of course, it has its price. And how hard is it to design such a skyscraper that hosts a forest? 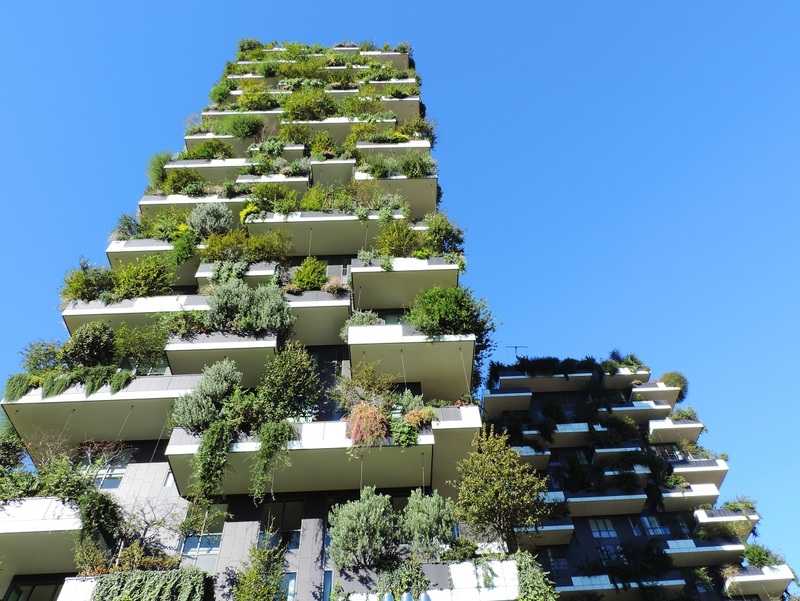 Bosco Verticale was designed by the Boeri Studio and engineers worked together with botanists and horticulturalists to select the suitable plants and to ensure that the structure could bear the load imposed by them. It took years to study and decide which species to use and how to distribute them. And the best thing above all? 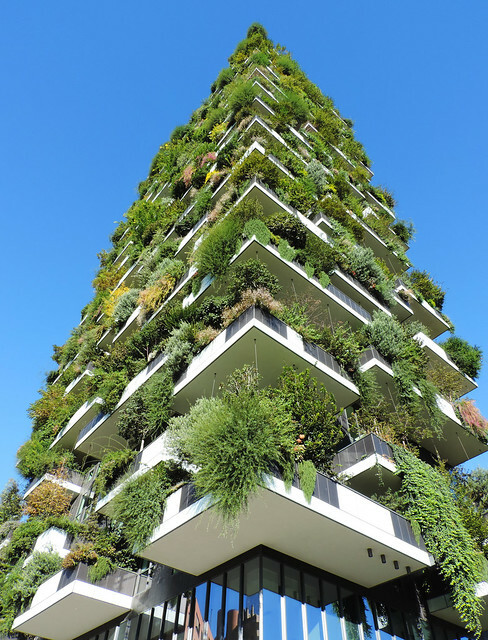 The Vertical Forest equals an area of 7000 square meters of forest – in the heart of Milan. The trees help mitigating smog, producing oxygen and humidity, absorbing carbon dioxide and dust particles, moderating temperatures in the buildings in winter and summer and protecting them from noise pollution. So let’s just give each city a forest like that as a start, shall we? What is your favorite piece of sustainable architecture?